The Gallery has just recently opened for the new 2014 year. Classes have resumed and we are on our way to an exciting new period. When you visit the gallery you will notice a few changes. We have made some small alterations over the summer break. The current exhibition FROM THE STUDIOS is a culmination of work from our studios and stock room and from our gallery artists. Large oil on canvas ice paintings by Jenni Mitchell welcome you into the gallery and will cool you during the summer heat. New silver and gemstone jewellery is also on show. We hope you will join us for a celebration of the new exhibition on Sunday 23 February. Mervyn Hannan will be taking PASTEL PAINTING & DRAWING classes Saturday Afternoon between 2.30 & 4.30. Classes will run in the Studio and weather permitting in the Orchard Garden and the Eltham Environs for some Plein Air work. Bookings – contact gallery (03) 9439 3458. The first LATE SUNDAY AFTERNOON POETRY READING for 2014 will be held Sunday 16 March @ 4.30. The work of TOM SHAPCOTT (read by poet Judith Rodrigeuz and KRISTIN HENRY will be read. Jenni & Mervyn would like to invite you to meet and listen to three of our leading Australian poets: Tom Shapcott & Kristin Henry. Tom Shapcott’s poetry will be read by the poet Judith Rodrigeuz. merge into the new week. Jenni & Mervyn would like to invite you to listen to and meet two of our leading Australian poets. Jennifer Strauss (Victoria) and Geoffrey Page (ACT) are both respected and well known for their life dedicated to the craft of poetry. A gentle way to close the weekend as we merge into the new week. Jennifer Strauss was born on a dairy farm near Heywood, and spent the first six years of her life there. She received her education successively in a Catholic convent, Presbyterian boarding school, and Anglican College of Melbourne University. Her working life has been as an academic in English departments, which has afforded her a great deal of pleasure from teaching, and the chance to move about the world a good deal-living in Britain, USA, Germany, Canada and travelling in Spain and Latin America, especially Argentina. Her first published poems were in Melbourne University Magazine. As an academic at Monash University, Jennifer published a good deal of literary criticism, including books on Judith Wright and Gwen Harwood; edited 2 anthologies of Australian poetry, and co-edited The Oxford Literary History of Australia. Jennifer Strauss is national President of a woman’s NGO, the Australian Federation of University Women. Geoff Page is based in Canberra and has published twenty-one collections of poetry as well as two novels and five verse novels. 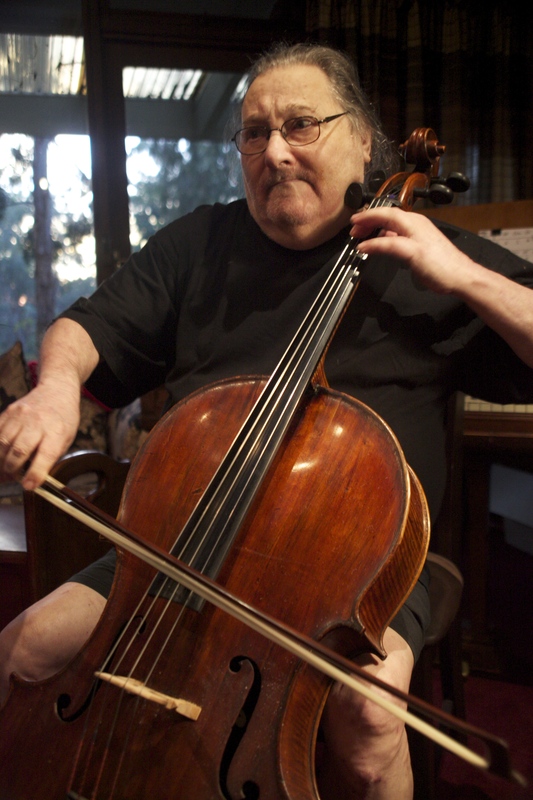 He’s also won the Grace Leven Prize and the Patrick White Literary Award, among others. His recent books include A Sudden Sentence in the Air: Jazz Poems (Extempore 2011), Coda for Shirley (Interactive Press 2011), Cloudy Nouns (Picaro Press 2012) and 1953 (University of Queensland Press 2013). Improving the News (Pitt Street Poetry) and NewSelected Poems (Puncher & Wattmann) are due out late in 2013. 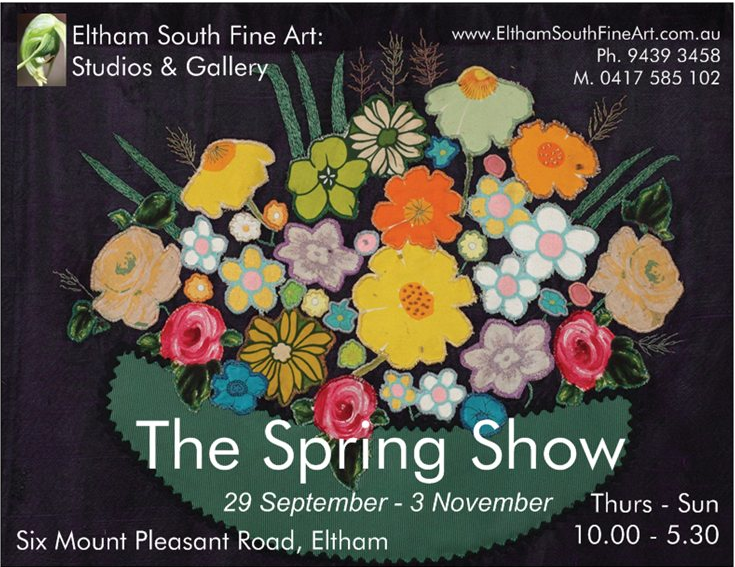 TWO NEW dates for the ORCHARD GARDEN @ The Gallery and ONE for WINGROVE PARK, ELTHAM. Come and join us in the gallery for the opening and share a drink and nibbles. The Late Winter Show includes several large landscape paintings and a series of small recent still life works using fruits from the orchard garden. Works from a Coastal Norway Snow Shower, the Fiery Sky of a Western Victorian Sunset and a Heavy Mt. Buller Cloudstudy. There are pastel works from Mervyn Hannan depicting the Flinders Ranges and the Digby Cottage. Still Life from Hilary Jackman and Bush Studies from Piers Bateman. 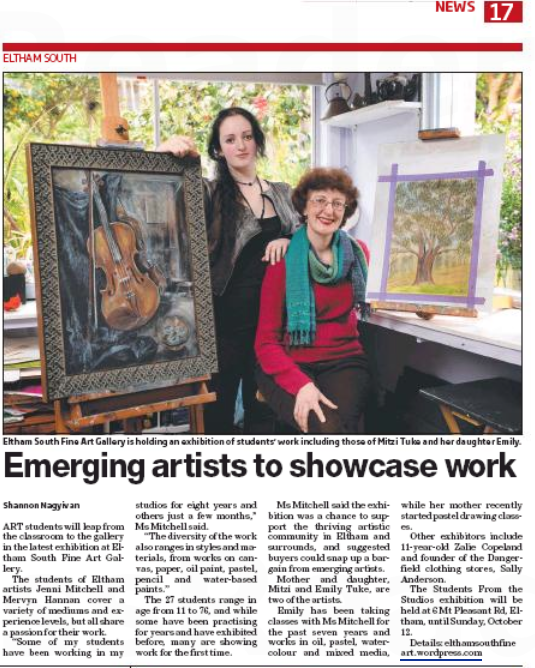 Also included are several recent paintings by Ron Reynolds; Landscapes of Warrandyte and Still Life. 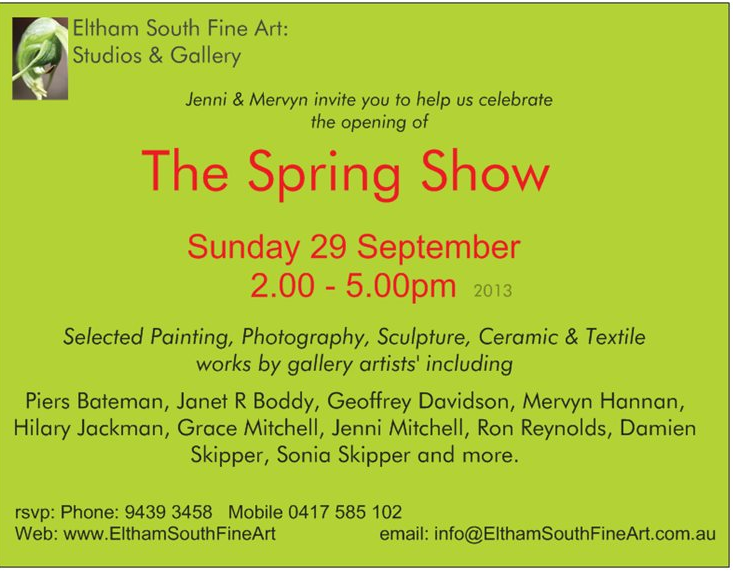 Works by Retro Eltham artists include Grace Mitchell, Alan Martin, Sonia Skipper, Leslie Sinclair and others. From our recent visit to Dili, Timor Leste we have brought back some traditional textile including Tias weavings. We are hoping to help support the community we stayed with through some gallery sales. PAINTING CLASSES have recommenced for the term with regular classes being held Thursday, Friday and Saturday. The next ARTIST’S GARDEN painting workshop will be held in the Orchard Garden SUNDAY 11 NOVEMBER (That’s Remembrance Day in Australia – and we will respect the minute silence at 11.00am). The day will commence with a painting demonstration in the Orchard Garden by Jenni Mitchell followed by one to one tuition. Jenni will be focusing on how to capture quickly and simply the essence of the chosen subject. How to bring to the viewer a painterly interpretation. All participants are welcome from beginners or experienced artists wanting to work in a colourful and old garden. A home cook lunch will be provided along with morning and afternoon tea.